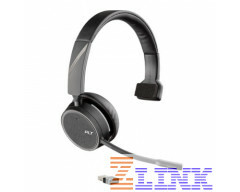 The Plantronics Voyager 4200 Series is designed for office professionals and IT staff. Offering multiple wearing styles, both USB-A, and USB-C options, as well as the ability to connect up to two devices, the Voyager 4200 wireless Bluetooth headsets are no match for the competition. 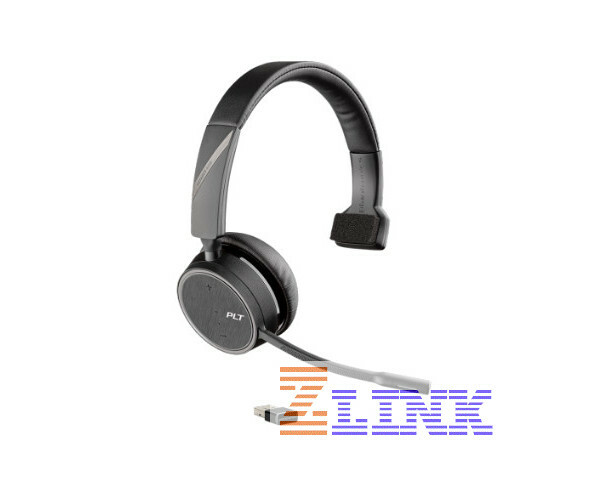 The 4200 Series of headsets can be used with both PC and Mac and users can easily switch between the two, as well as with a mobile device. Quick touch controls allow you to start or end a call as well as mute yourself. And voice prompts will alert you if you begin talking while your headset is muted. Crystal clear audio, mono and dual styles and the freedom to roam around make this Voyager 4200 UC a great solution for any work environment. IT staff will love how easy it is to manage headset inventory and maintain devices through Plantronics Manager Pro, a Software-as-a-service (SaaS) that is sold separately.